Visiting Card Holders made of high quality raw materials are a great utility gift item. They also double up as promotional gift item and can be customised as per client needs. These Visiting Card holders are available in customized form as per the specifications of our clients. 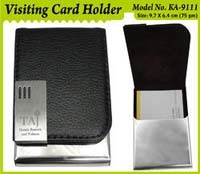 Premium quality Visiting Card holder with high grade material. 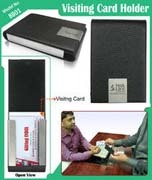 Quality Visiting Card holders in customized form as per requirement. 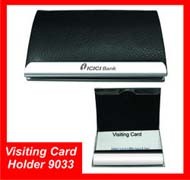 Visiting card holders made of high grade material which provides them durability and long service. 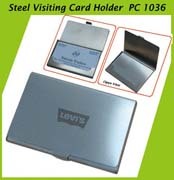 Premium quality Visiting Card holder. High grade material which provides durability and long service life. 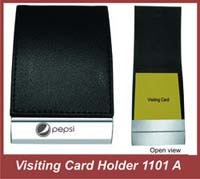 High quality visiting card holder which is very useful as promotional product. 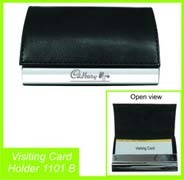 High quality Visiting Card holder. Available in customized form as per the specifications of our clients.